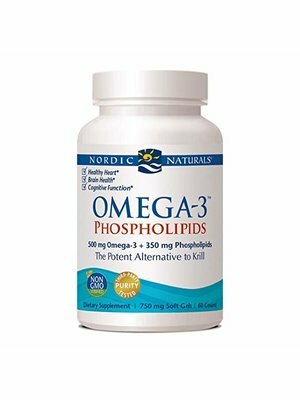 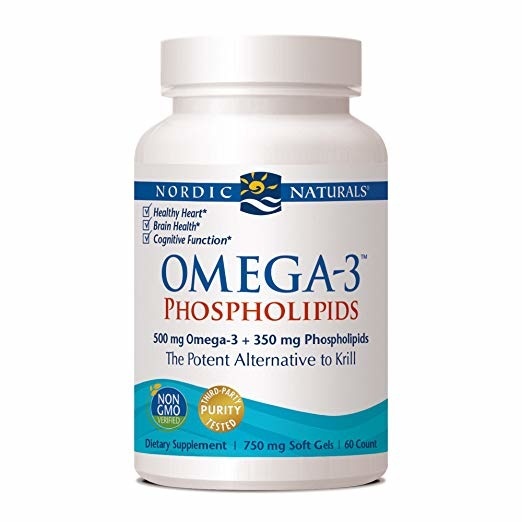 SUPPORTS GENERAL HEALTH AND WELLNESS: Omega-3 Phospholipids from Nordic Naturals supports a healthy brain and heart, and also promotes healthy cell development and maintenance. 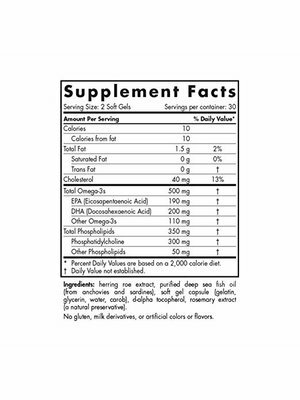 SMALL SIZE, BIG IMPACT: These small, easy-to-swallow soft gels provide 690 mg of omega-3s per serving, surpassing the expert-recommended dose of omega-3s EPA+ DHA, per day. 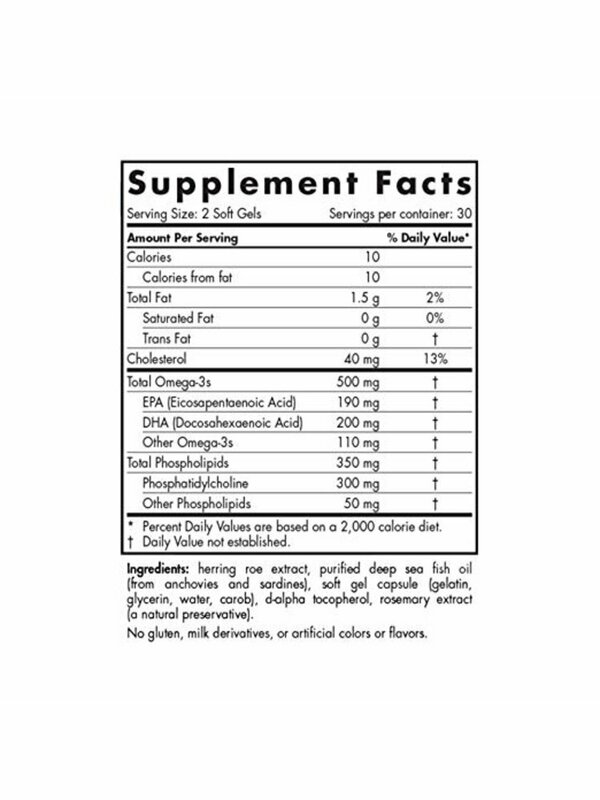 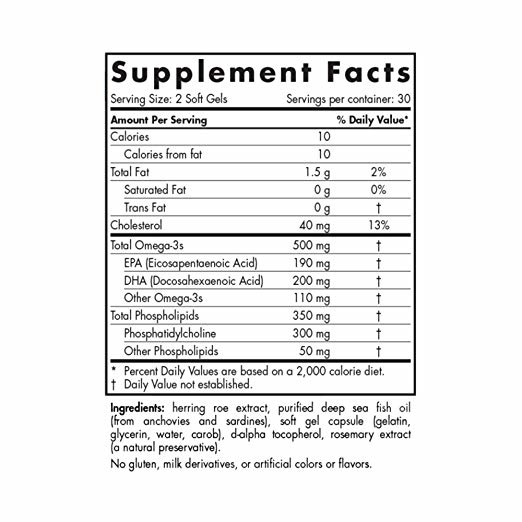 GOOD FOR YOUR BODY AND THE ENVIRONMENT: These Omega-3 Phospholipids are derived from sustainably-sourced fish and herring row, providing you with a high quality, non-GMO certified supplement.